Patient question: Why do my feet hurt? Picking up the patient’s shoes I had my answer. No support, no protection from the elements, "they are damaging your feet"
"Buy some new shoes … immediately". Runner’s knee can also be known as pain under the knee cap, anterior knee pain, chondromalacia patellae, and/or patellofemoral pain (PFP). The knee is a modified hinge joint which means it can flex (bend/swing backwards) and extend (straighten/swing forwards). It also can very slightly rotate. The hamstrings at the back of the thigh control flexion of the knee, and the quadriceps at the front of the thigh control extension. The strength, size and position of the hamstrings and quadriceps muscles can affect the way the leg moves, and therefore the way that the patella (kneecap) moves. The patella is a small triangular-shaped bone within the quadriceps tendon in front of the knee joint. There are tendons and muscles above and below the patella and if they all work properly the patella slides in a groove on the upper leg bone (femur; femoral groove) as the knee joint moves. However when the patella is pulled out of alignment (typically towards the outside (lateral) aspect of the knee joint) it fails to glide easily and centrally in the femoral groove and this is known as Runner’s knee. Clarkes test/patella femoral grinding test to test the quality of the patella articulating surfaces. Lie supine/face up. Get someone to place their hand over your patella and push the patella down and distally i.e. towards the foot, and hold while you straighten your leg. This means you will contract your quadriceps and elevate your knee holding it in extension. The patella should glide easily and smoothly up the groove in the femur. If there is degenerative change on either side of the femur or the patella you will feel a grinding sensation, and sometimes extreme pain. 19 year old Scott Ashton had been out for a run and slipped his trainers off before he went into the house. Somehow they got mixed up with the items in his parents’ garage sale and were sold for $2. It wasn’t particularly the $200 Asics trainers that Scott was upset about but the orthotics inside the trainers that are worth $700. Because I am a podiatrist my niece likes to tease me by buying shoes with 5 inch heels. While they are entirely inappropriate for everyday wear they might be fun for 1/2 hour standing at a Christmas party. The baby was born with a film of skin over both big toenails. The advice from the doctor was "don’t worry, just keep an eye on it". However the tissues became red, swollen and inflamed. At 5½ weeks old the baby started on flucloxacillin. The photos were taken 2 days after the start of the antibiotics. The hiking boots below are about 30 years old. 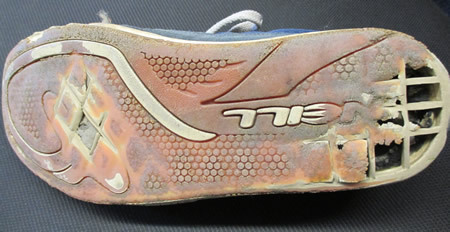 They are an excellent example of how shoes and boots can deteriorate even though they are not being used. The boots belong to my mother. She used to wear them quite frequently walking in the Lake District, but due to advancing years had put them away in their box "just in case they were useful one day". She got them out of the cupboard the other day and surprise surprise the boots were a horrible sticky gluey mess especially around the sole. After picking them up out of the box the soles of both boots fell off. These boots were perfectly OK when they were carefully packed away 15 years ago, but two house moves and several cupboards later have seriously failed. 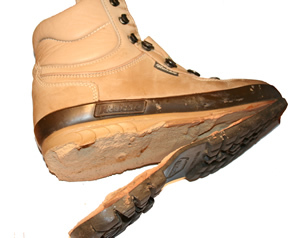 This is not a fault with the boot, it’s because materials and glue eventually fail whether you wear them or not. So don’t buy old shoes from eBay and expect them to perfect, don’t buy shoes and put them away in the cupboard for years and don’t expect shoes to last for ever. A blood blister happens when you nip the skin. In this case the patient tripped on a kerbstone. It looks like the skin got caught between the shoe and the bone. The swelling was full of liquid, some blood and some lymph, and was fairly uncomfortable. This is the blister two days after the injury. 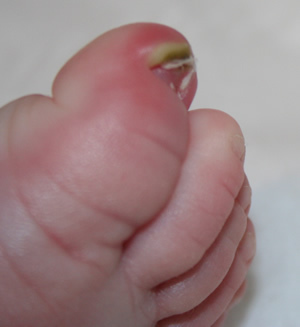 If the blister bursts or you decide to pop it then there is a high risk of infection. You must keep the area clean and put a sterile gel blister dressing on the area such as the one below. 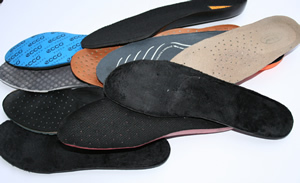 When you throw away a pair of old shoes, trainers or boots don’t throw away any removable insoles inside them. Keep the insoles and recycle them instead. 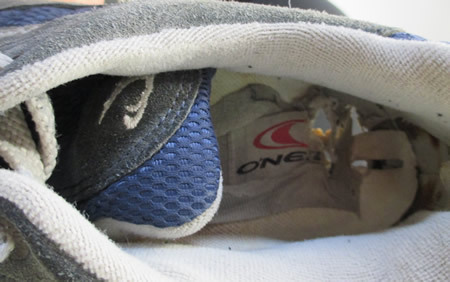 Keep the old insoles in a bag inside your wardrobe and re-use them as and when you need to. 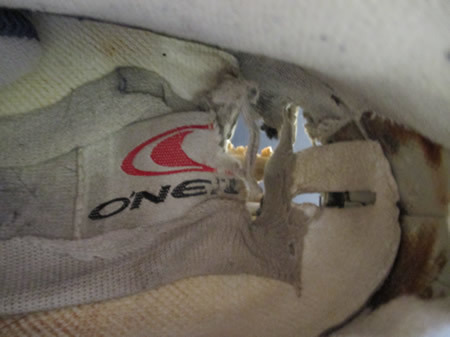 I’m not suggesting you keep broken down and torn insoles, just keep the ones in decent condition. 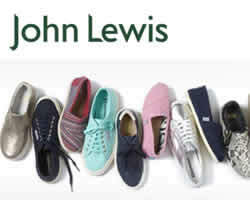 Also note it is really important to buy shoes the correct size in the first place but just occasionally you might want to change the fit by a millimetre or so by adding another insole or changing one insole for another. I bought a pair of boots recently and changed the insoles in the boots for some from my "selection box". I took out the existing insoles from the boots that were 2 mm thick and replaced them with insoles that were 2mm thick at the heel end and 5 mm thick at the toe end. Then with my custom made orthotics on top (which I had always intended to use inside the boots) the fit was absolutely perfect. I have also put some substantial insoles from my "selection box" inside my wellies I wash the car in. This makes them more supportive and more comfortable for the odd hour a week I wear the wellies and they also help to keep my feet warm by having another layer underneath my feet. There is nothing as cold as wearing cheap old wellies in the winter, well maybe wearing nothing would be colder than wellies but that’s not even worth thinking about for my cold feet even in the summer. 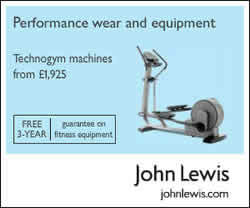 Have a go yourself. 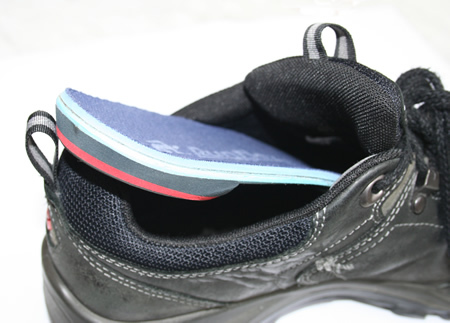 Don’t just keep the existing insoles in the shoes or boots just because they were the ones in the shoes when you bought them. Move them around and see if you can make slight adjustments to make your shoes even more comfortable. 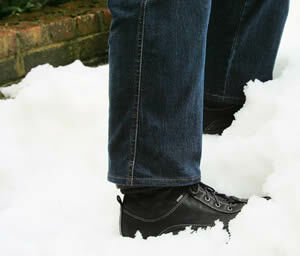 Tip: don’t cramp your toes by putting extra or different insoles in shoes that haven’t got room for them. 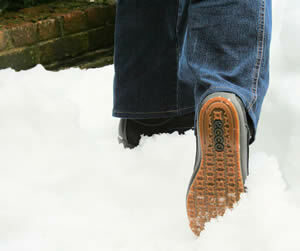 My new Ecco Winter Zone Boots purchased a few months ago have been fantastic in the snow, ice and slush. I am really impressed how good the tread has been and I haven’t slipped at all. 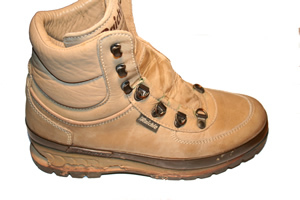 They seem to be completely waterproof even when shovelling snow or walking through several inches of snow or slush – there are no signs of any water or dampness coming through the leather. But best of all they are keeping my feet really warm. I am not sure what I would have worn this past week had I not had these lovely boots. See Ecco shoes here. My name is Sue Ferguson and I am a chiropodist and podiatrist working in private practice in Tenterden, Kent, in the south east of England. I am registered with the Health Professions Council, the regulatory body for health professionals and I have been treating feet for over 20 years. For further information about my chiropody practice see my practice website where you will find lots of tips and information. From a professional point of view I find feet, foot conditions and shoes fascinating. I spent the first part of my life waiting for the Internet to be invented and now it's here I want to share my enthusiasm about feet with you all.